14ymedio, Generation Y, Yoani Sanchez, Havana, 25 September 2017 — Most active politicians like to have their photos taken while greeting children, talking to factory workers, or visiting a disaster area. These images, seen on countless occasions, do not translate into better government performance, or even real concern, but at least they are consistent with a formal and public ritual. More than two weeks ago, Hurricane Irma devastated countless towns in central Cuba, affected communities near the north coast and left the coastal areas of the city of Havana under water. 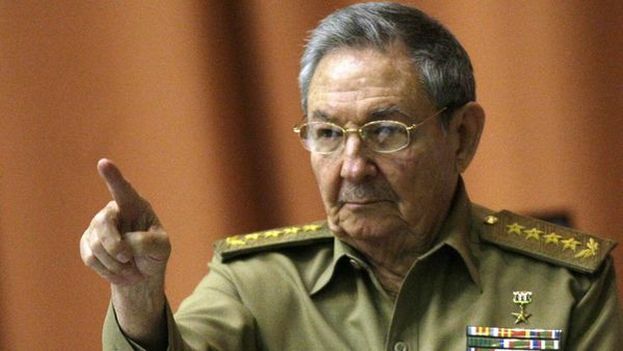 Since then, Raúl Castro has not been to any of the affected sites and has not been seen near the houses that lost their roofs, the sidewalks filled with the furniture drying in the sun or the places sheltering some who have no homes to return to. In the first days of his absence, speculations focused on the octogenarian’s health and a possible indisposition making him unable to travel to the most affected areas. However, Castro had enough physical energy to go and receive Nicolás Maduro at the airport. He has chosen to take a photo with the Venezuelan president rather than with the population battered by the meteoric winds. The feelings left by this distancing are contradictory. His most ardent supporters speculate that he does not want to add expenses to the national budget with a visit more symbolic than effective. Others say he is letting younger officials take his place before the cameras so that they can gain visibility before 24 February of next year, when he will step down from the presidency of the country. His critics, however, speak of the weariness that has gripped the General after a sequence of defeats, among them not being able to end the island’s dual currency system, or to reduce corruption, or to offer Cuban workers dignified wages that can become their primary source of economic support, or to attract foreign investment. Exhaustion has taken over the leader of the Communist Party a few months before he leaves power. Now it is too late for the photo next to the victims. Even if Castro were to leave for Esmeralda, Punta Alegre, or Corralillo today, he could not escape the doubt that his visit was more the fruit of pressures than of his own desires. A snapshot next to an old woman whose house is nothing more than the foundation would seem to be a resounding act of gimmicky populism, but the lack of that image makes him look as distant and indifferent. If he goes where Irma left a trail of pain he loses; if he stays in his palace he also loses. Welcome back, Yoanni. How about an article on the damage done to Cuba by the hurricanes, and what is being done to try to rebuild and improve the lives of those who were impacted by them? Yes indeed, the latest natural disasters have become politicised. In Mexico, the weakness of the Nieto Admin is showing again, as when the 43 students disappeared. In the presidential elections next year left-populist Obrador may win. Cuba is still the ideological spider in the centre of this web of hard- left nations there . In Colombia, FARC has come out of the jungle and is continuing their conquest of the country side first on the way to conquering the whole country. Sure, there’s good news too, but the hard commie left is strong in the region. Watch out!